Mike Kirst is Vice President, Strategy and External Relations for Europe, Middle East and Africa at Westinghouse Electric Company. Energy security is becoming an ever-greater priority for the EU. A number of Eastern European countries are highly dependent on Russian nuclear fuel, and for the modernization of their nuclear plants. Recently, the Bulgarian Prime Minister warned Commission President Jean-Claude Juncker of an “energy catastrophe” if Russia drags its feet over the rehabilitation of Bulgaria’s two reactors. Is this context opening business opportunities for Westinghouse? First, I think that the priority of upgrading units 5 and 6 of the Bulgarian nuclear central of Kozlodui is understandable and is correct. Those are two very well-functioning power reactors. They are contributing a significant portion of the country’s electricity, so maintaining those, and extending the life of those reactors, is the best and cheapest way to ensure energy supply for Bulgaria. We fully support that, and in that context, we have a rather limited role, the vast majority of the work being done by a consortium of Rosatom of Russia, and EDF of France. But we are happy to be there and contribute. Is there a chance that in the future, Eastern Europe can be supplied with nuclear fuel other than that provided by Russia? The recent communications from the Commission, and particularly the Energy Union document, does refer to the need for diversification of nuclear fuel. And this is the first time, historically, that this has been taken under consideration by Brussels. We do believe some countries will begin taking steps to begin processes of qualification and licensing of alternative fuels. This is a very long process, and this is something the Commission also understands. 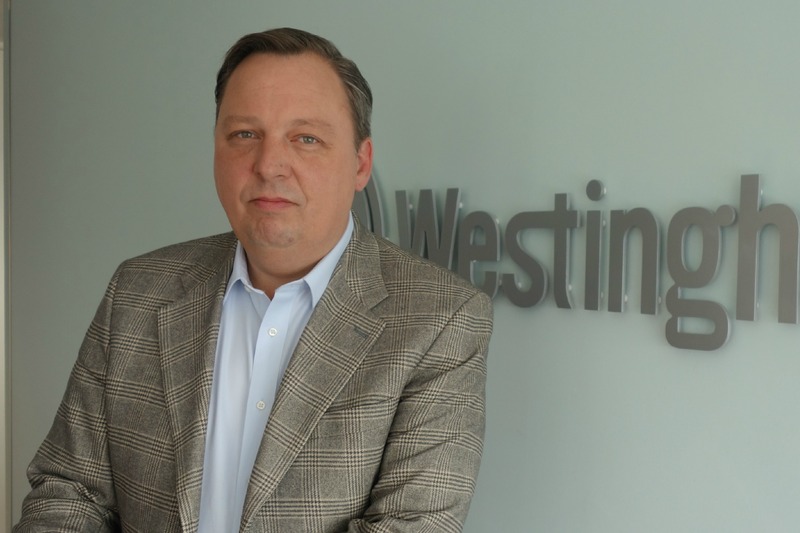 Even If a company like Westinghouse had a potentially viable nuclear fuel solution as an alternative, it needs to go through a very extensive period of licensing review and regulatory review. For instance, if, tomorrow, Bulgaria would begin discussions with Westinghouse for providing fuel to units 5 and 6 of Kozlodui, it would probably take two to three years for us to be able to install that fuel. So, if you are not starting now, you are only delaying a very long process. If I am correct, your company is more advanced in this process with Ukraine. Exactly, and we would use this experience in Bulgaria. What we did in Ukraine is that we sent over what we call ‘lead test assemblies’. An annual supply of nuclear fuel is 42 fuel assemblies. We sent about 4 or 5 assemblies to test and put them into one reactor, to assure the compatibility and safety of our fuel with the co-resident Russian fuel. That was in 2003. Then after that we put in a full load of 42 fuel assemblies, and those have run now for four years. All of that testing has generated enough experience and the understanding that our fuel works with the Russian design. So we can use this experience and bring it to Kozlodui. The Bulgarian regulator then would make its own review of the data and decide if this fuel could immediately be put in Kozlodui 5 and 6, or if they would like us to begin a lead test assembly program as we did in Ukraine. As long as the fuel in Kozlodui is the same as in Ukraine, we could provide the fuel immediately. But if it is something different, that would need to be further tested. Last week, we were in Kyiv, and our CEO met with the President, the Prime Minister, the Minister of Energy, and the head of Energoatom. During our discussions, we posed that same question: What else do you need? And what they said is that they want more electricity generation, because they lost a significant part of their coal-generated power supply in the east. There was a focus on building new units. But what we really tried to impress upon them is that we saw opportunities to provide even better opportunities in the short term, by increasing the efficiency of the existing reactors, meaning to increase the amount of days when they produce power. And/or increase the power levels by 10%. If you increase the power levels and also increase the efficiency, some preliminary data show that this is the equivalent of building two reactors, doing that on a fleet of 15 reactors in Ukraine. We think that that should be the focus and the priority. A lot of work will be done not by Westinghouse, but honestly, we believe that that would be the most beneficial solution for Ukraine today. The new units could come at a later junction, but this should be the immediate priority. Is Westinghouse building new units right now? Yes, we’re building four new units in the USA and four in China. All eight are going are going simultaneously right now. The first AP 1000 reactor, our latest design, will be completed in China next year. And we are also in negotiation with our Chinese partners to build upwards of 2030 more. They are determined to standardise their nuclear program, because they have built pretty much every single other design, French, Russian, even Canadian, and now they want to determine which one of them they want to replicate on national level, and they have chosen our design. There will be a lot of AP 1000 and AP 1000 derivatives in China in the next decade. Those I mentioned are under construction. Of those that are under development, the first actually will be in the UK. We have an agreement with GDF Suez, at least a preliminary agreement, to build three reactors at the Moorside site, outside of Sellafield. This could be our lead project in Europe, and we are in negotiations with the UK government with regard to a package that would look similar to Hinkley Point, which EDF and Areva completed. And then comes Kozlodui 7. We have a shareholders’ agreement with KNPP to build Kozlodui 7, but that is contingent on both parties determining that the project is bankable, that it be competitive versus current and future power generation cost. We need to determine when the power plant comes online, let’s say in 2025, what would be the energy price at that point, and what would be the cost of the alternatives. That work still needs to be done. How about the rest of the countries in Central and Eastern Europe? We spent 2-3 years tendering a project in the Czech Republic, at Temelin Nuclear Power Station. Last April the project was cancelled, but we do believe that eventually the Czechs will determine that they need replacement of their existing reactors. The question is when they want to start that process. Slovakia is building more Russian units right now, so we don’t see that as an opportunity. Hungary, of course, has a very strong Russian contract, so we don’t see any opportunity there. We have talked to the Slovenians to potentially expand the Westinghouse plant at Krško, built many years ago. But probably the biggest single market in Eastern Europe is Poland. They don’t have any nuclear plants today. But when you look at the total needs of the country and at the alternatives, it’s now 90% coal-based electricity, facing ever-more stringent CO2 requirements, putting them into an energy security conundrum. So they are looking at a solution where the nuclear equation comes in, and they have spoken of potentially up to 11 nuclear reactors by 2030. I don’t think this is going to happen at that scale and in this timeframe, but I think the vision is roughly correct. That’s going to probably be the biggest market. And where is Western Europe in the big picture? Westinghouse is the largest nuclear fuel supplier in Europe. We supply more reactors than anybody else, and this means all the UK reactors, most in Sweden, most in Germany, a substantial percentage in France. As an example, most of our business is in Western Europe, in fuel and maintenance. When we talk about new reactors, except the UK, most Western countries unfortunately are not pursuing nuclear projects, except France. It’s on that basis that we appear prominent in Eastern Europe. But most of our revenue, sales, our people, are in Western Europe. Westinghouse (otherwise known as the CIA) again are destabilising the area. Westinghouse may be many things – but the CIA? I doubt it. Impressive that the Poles are going to build 11 nuclear stations – I wonder who will pay for them? The Poles are VERY keen on cheap energy – which raises the question – given the costs at Hinkley one wonders why the Poles think nuclear is such a good idea? perhaps they want to glow in the dark (thus saving on street lighting ) – perhaps they have a… money tree. Meanwhile, an arm of the Polish state (Polish Rail) is buying low cost German green power and selling it to Polish industry. Hmm I’m sure there is a lesson there somewhere but I’m not convinced that Polish politicos have the brains to see it. Instead of building new reactors near Sellafield, why not have a look at Sellafield itself first, and clean up Europe’s biggest, dirtiest and most dangerous nuclear waste dump. This is a huge disaster of giant grotesque proportions for which there is no solution. Before building any new reactors there needs to be a clean-up of old decommissioned sites and construction of a proper waste dump. This government and the one in the UK is corrupt and criminally negligent for not doing this. We do not need Pu or U for Nuclear Weapons and therefore we do not need to use these materials for Nuclear Power at all. The current Nuclear Power Stations were devised to use Nuclear Fuels that were weapons grade by-products and not to make Energy as their primary aim. There is another fuel which is equally as good which has a much shorter life style impact Thorium and there are others with half lives of less than 4 years which are twenty time more abundant. The real issue is do we need these at all? There is enough Tidal energy around the world to supply a large proportion of energy. There is also a large amount of hydro-power available hardly ever used. The one area we know is in Iceland where it is considered that the store alone (together with thermal power) could meet all of western Europe’s power needs as electrical energy.